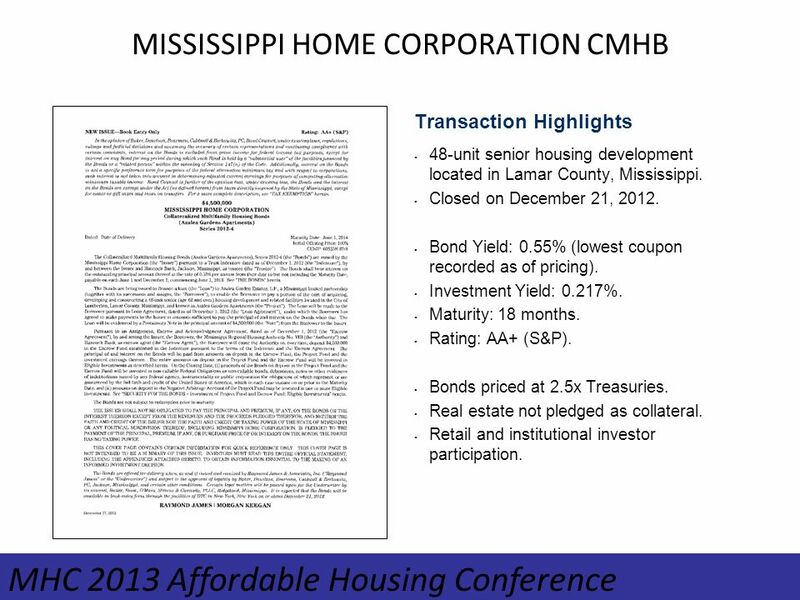 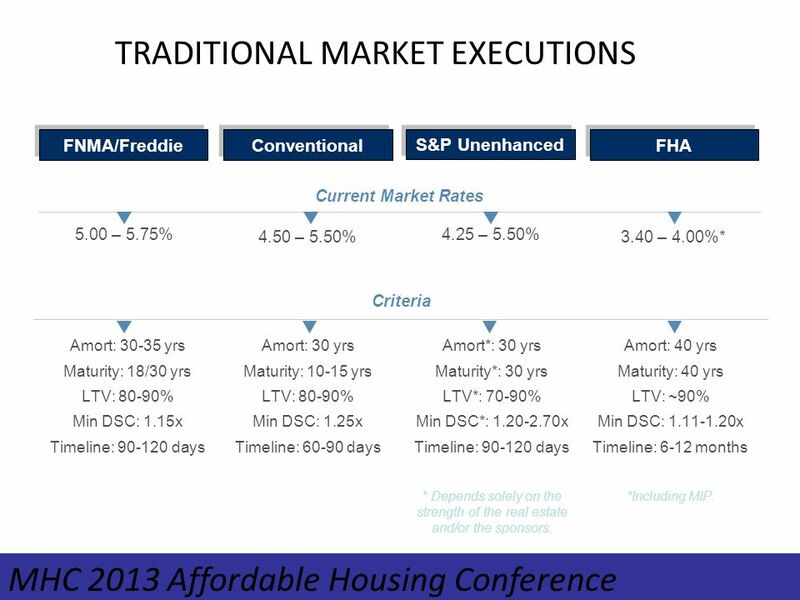 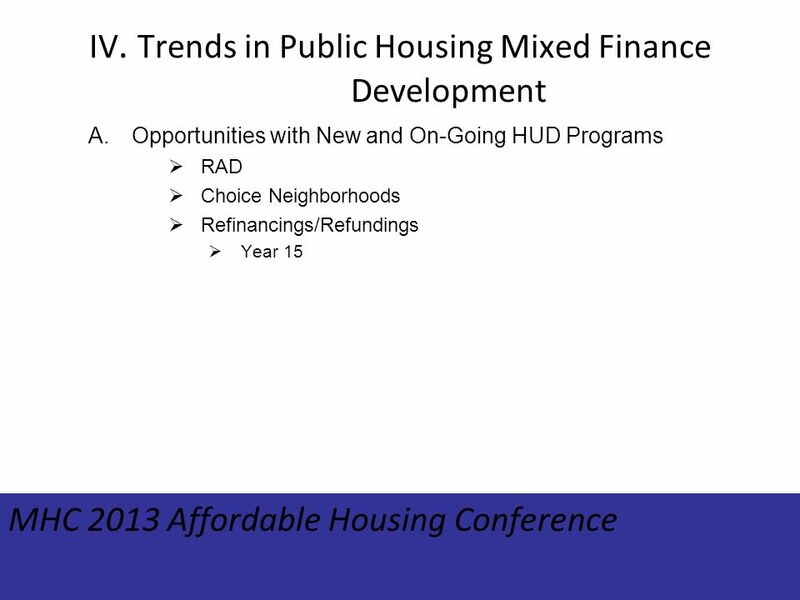 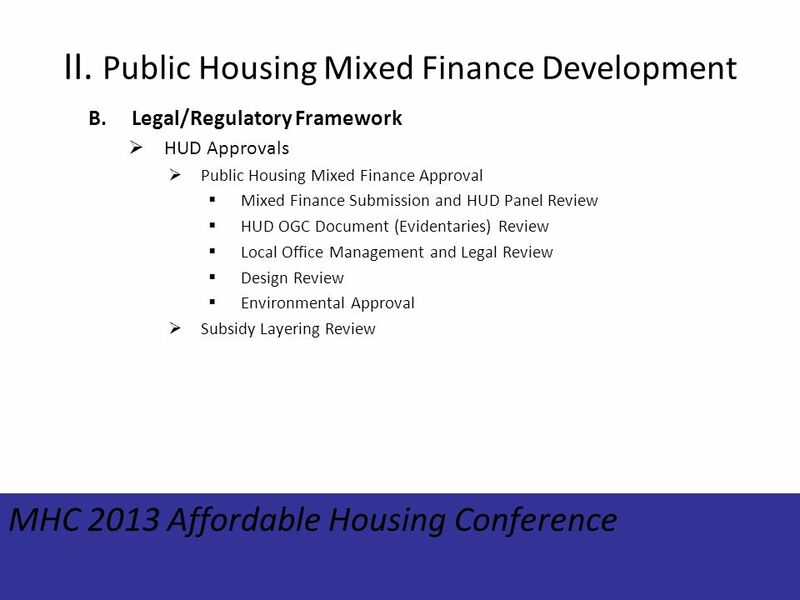 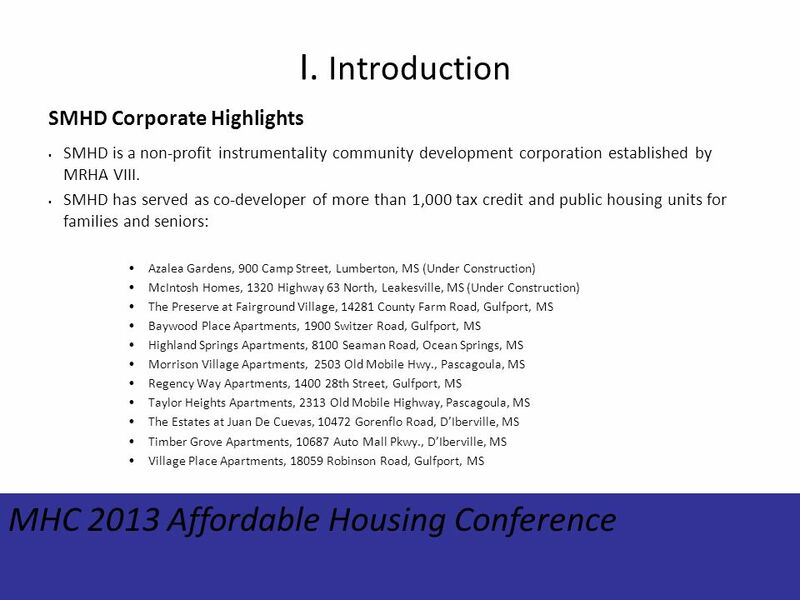 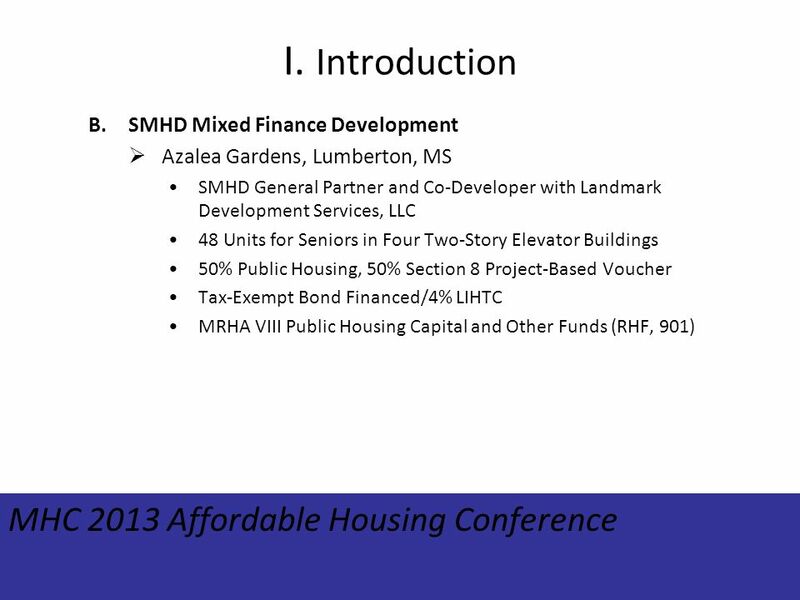 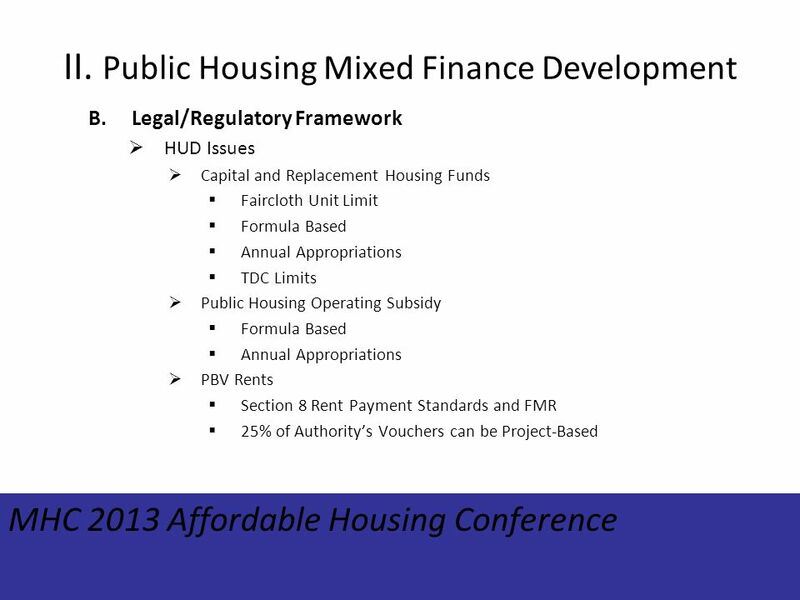 Participating in Public Housing Tax Credit Equity Financing: An Investment Opportunity for Community Banks MRHA VIII/SMHD Mixed Finance Training MHC 2013. 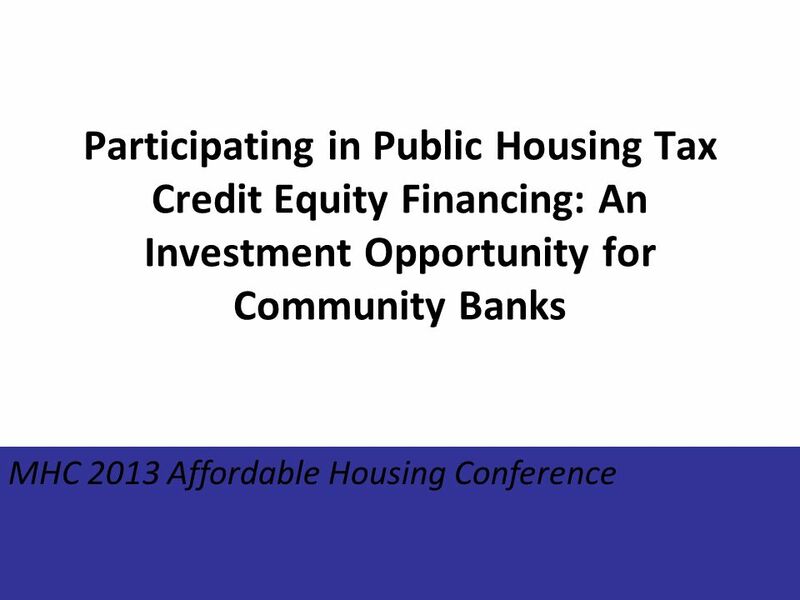 Download ppt "Participating in Public Housing Tax Credit Equity Financing: An Investment Opportunity for Community Banks MRHA VIII/SMHD Mixed Finance Training MHC 2013." 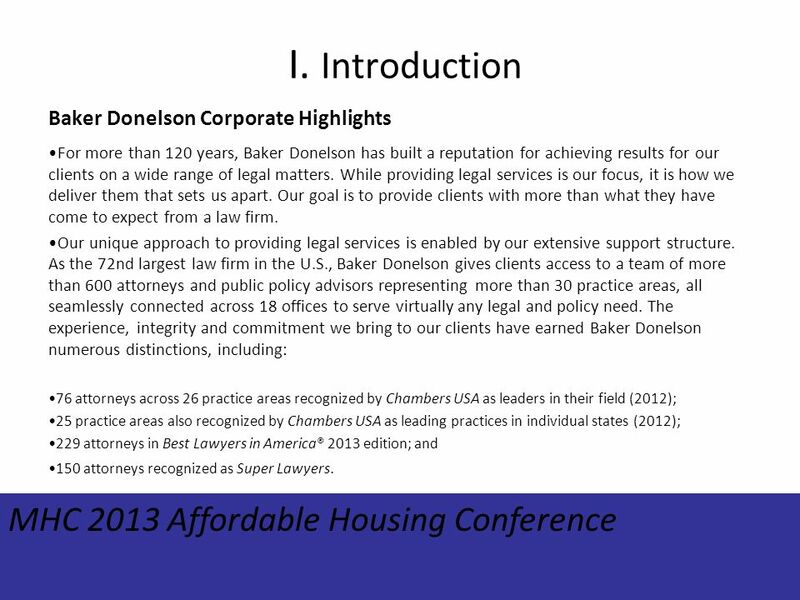 King & King Business Advisors ® Presents: Business Brokers Merger & Acquisition Advisors Management Buyout Consultants King & Kings Professional Practice. 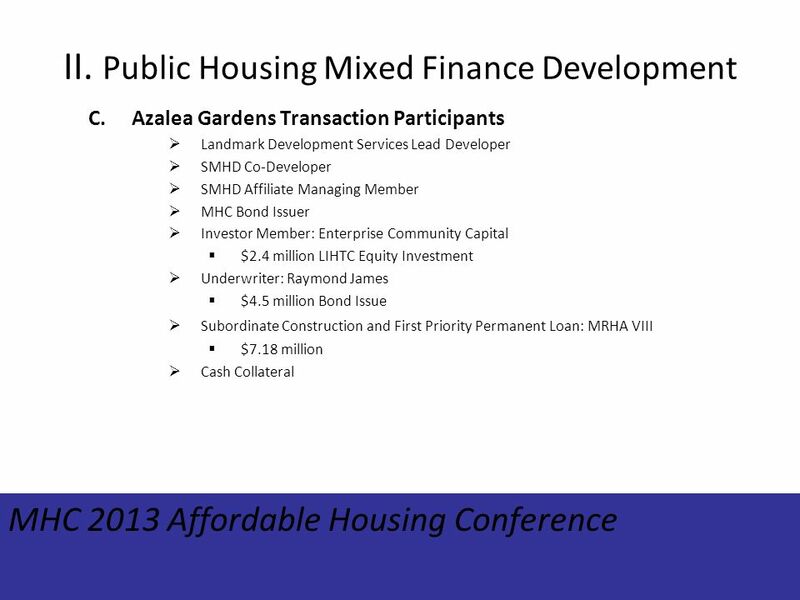 Commercial and Mixed-Use Development Nonprofit Commercial projects Types of Financing DEBT Senior Debt –Bank Loan –Bond Financing Subordinate Debt –Community. 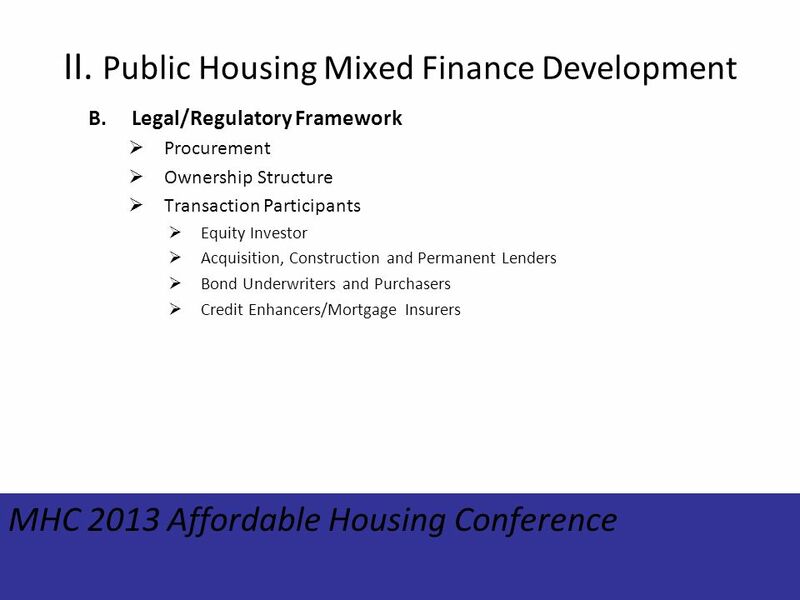 Asset Management of Debt and Equity Investments Presented by: Armando Pérez Principal, Director of Asset Management. 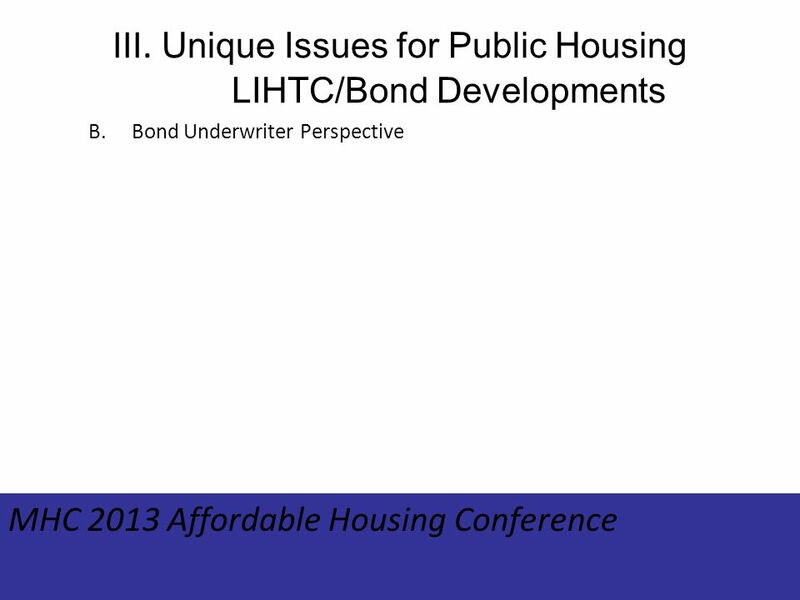 How Credits Become Capital: When and How to Syndicate Incentives for Historic Preservation in Detroit Thursday, June 5, 2008 The Detroit Athletic Club. 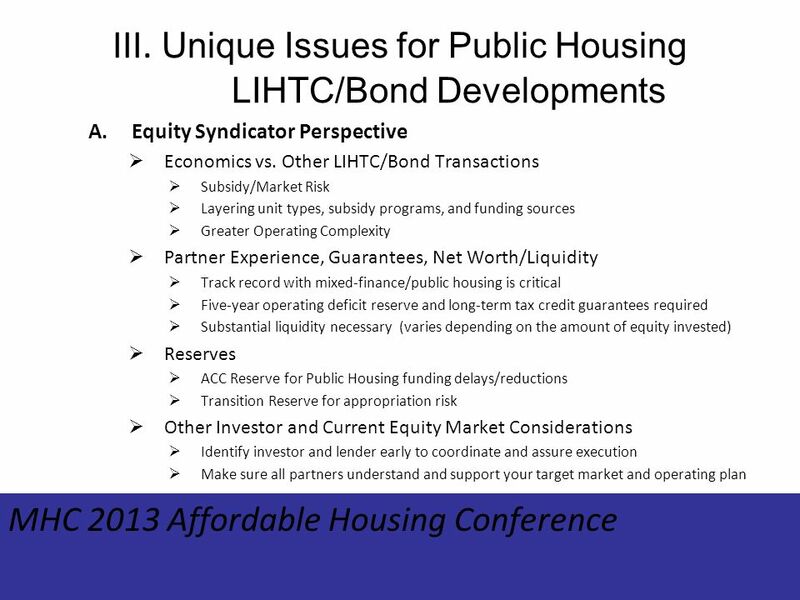 The Investors Perspective Tony Bertoldi, Portfolio Manager. 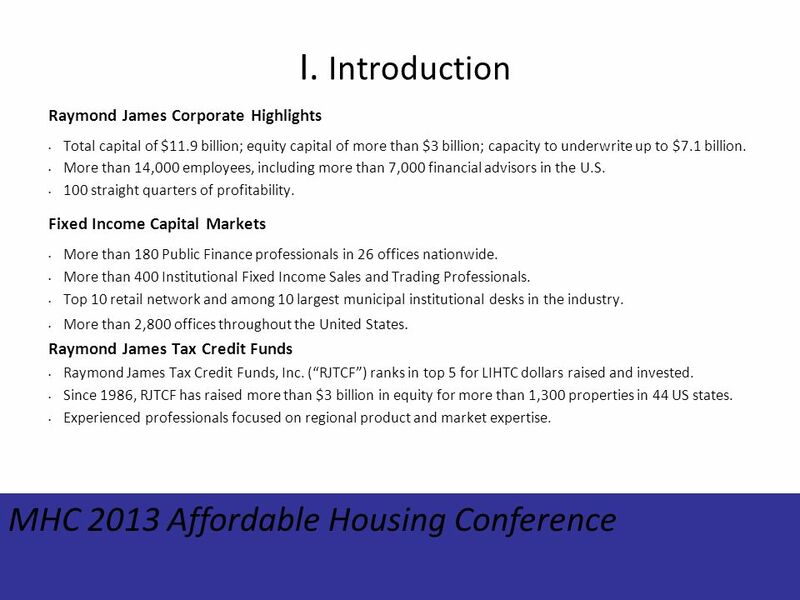 Historic Tax Credit Equity Syndication Basics Historic Tax Credit Developers Conference Thursday, February 5, 2009 Miami Beach, Florida. 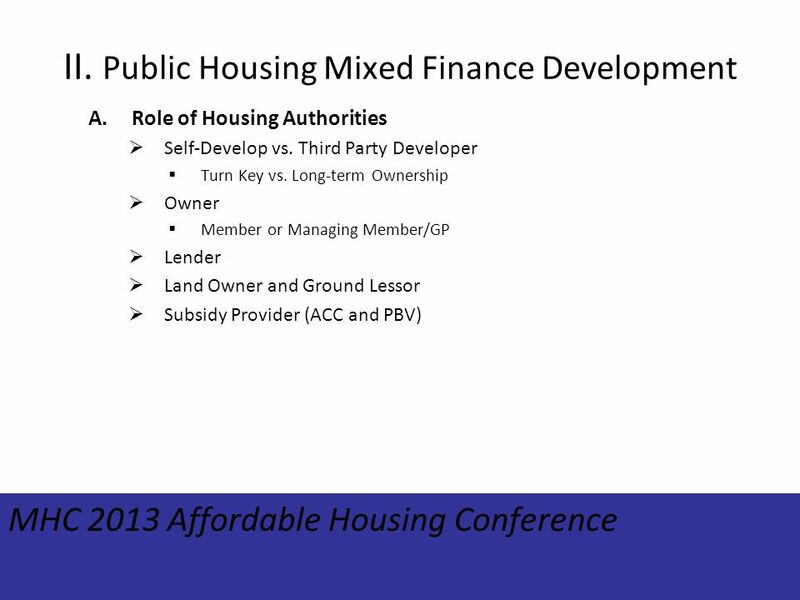 Legal Issues for Development of the Mortgage Market In Armenia Carol Rabenhorst The Urban Institute, Washington, DC AIPRG Workshop on Financial Sector. 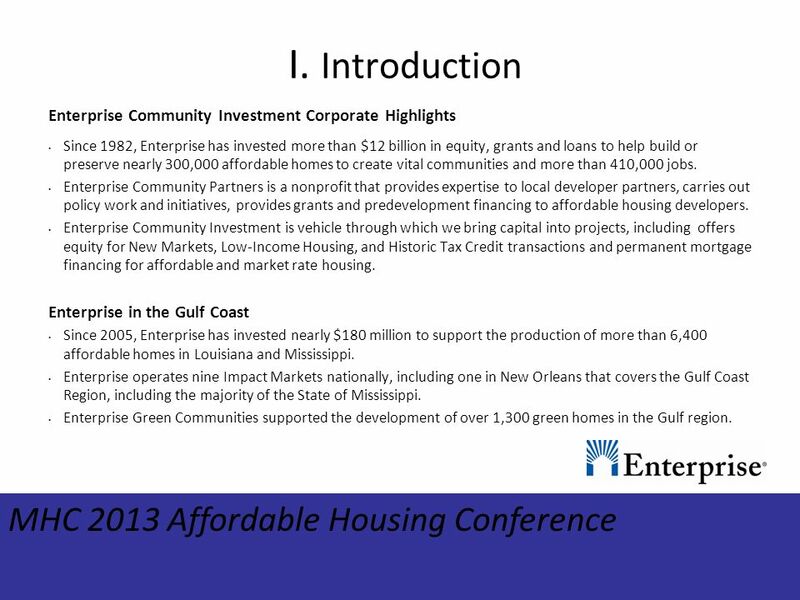 Version /13/ Video Lottery Terminal legislation included a 1.5 percent set aside of revenue to benefit small, minority- and women- owned. 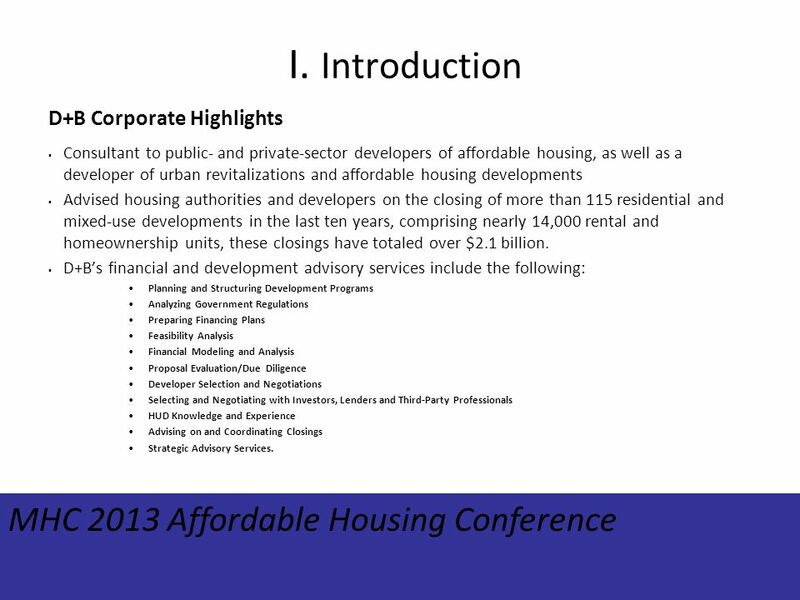 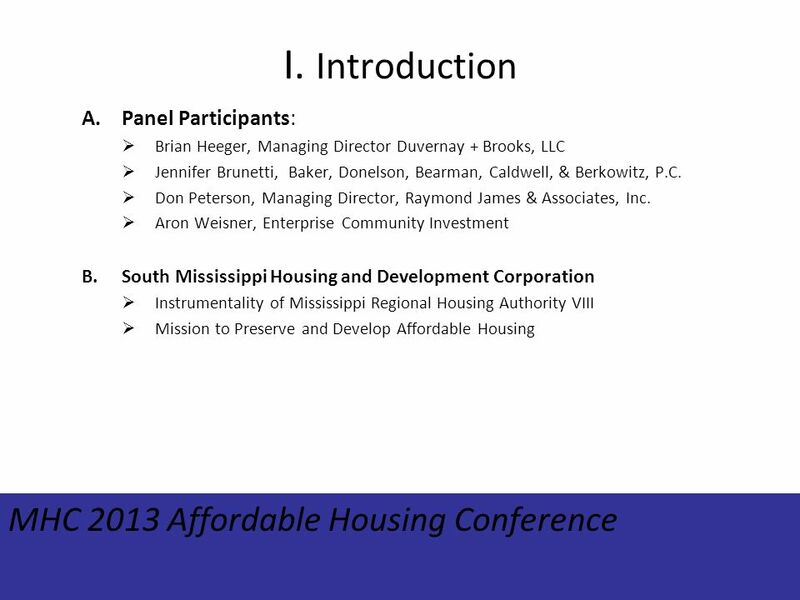 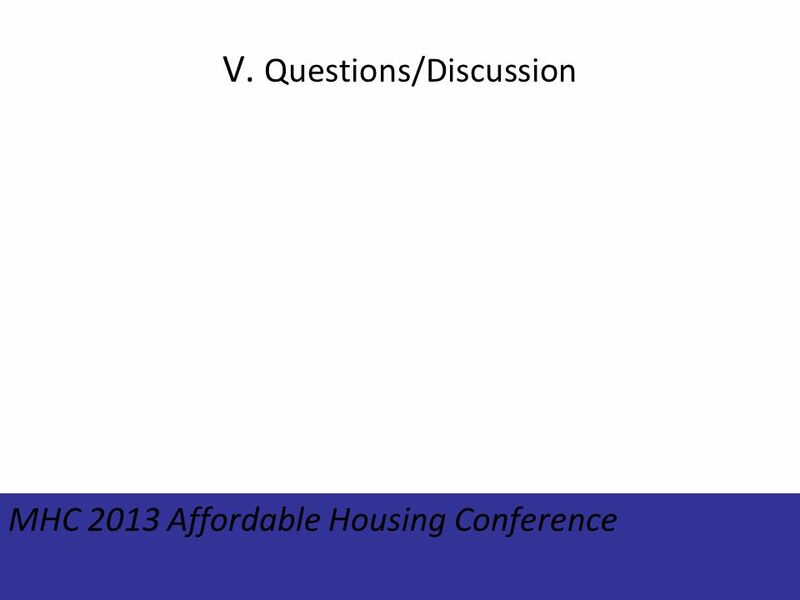 Florida Non-Profit Housing Regional Mutual Self-Help Housing Conference June 19, 2013.